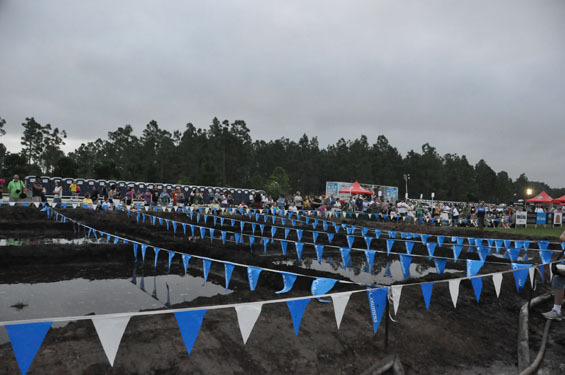 This past weekend the Muddy Buddy race was held at the ESPN Wide World of Sports complex in Walt Disney World. This event is great for the participants and spectators. 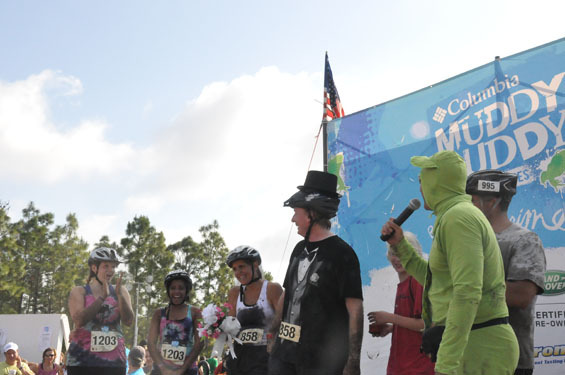 It’s fun to see many of the teams dressed in costumes as they ride or run the course. 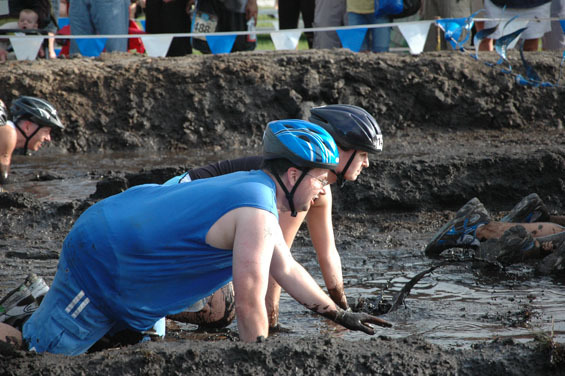 There were over 1,600 teams competing in the event. 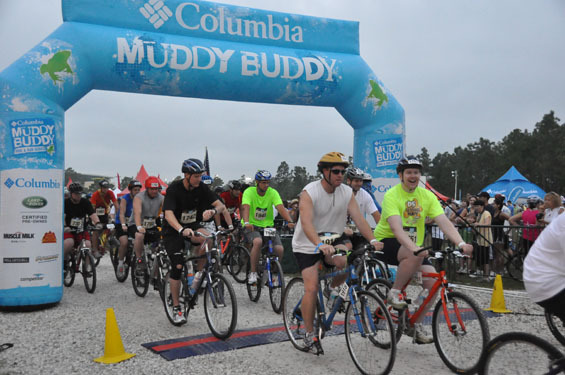 The teams were expected to climb a high wall, go down a 25 foot slide, walk a balance beam, and do a low crawl as well as run and ride a bike. It takes a special type of person to enter an event like this. We are fortunate on the DIS Boards to have 4 special DIS’ers that participated this past weekend – Tim, Chris, Jason and Britney. Todd was planning to participate but was unable to make it. They did it as a fundraiser for Give Kids the World. I got there early on a Saturday morning to cheer on the early runners. I couldn’t believe once again how many people were there at 6:30 in the morning. 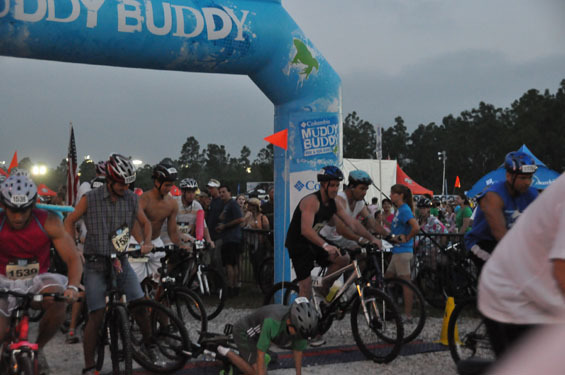 We all commented that you had to be brave to be in the pack of bike riders when they all took off. 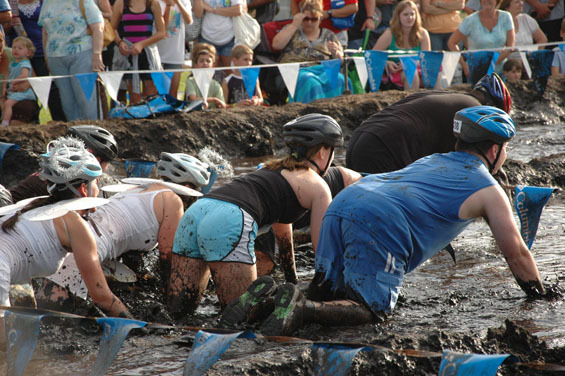 There were a few accidents right at the start line but they recovered nicely. 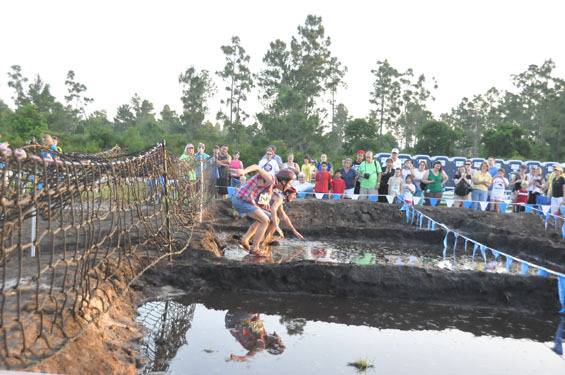 We made our way over to the mud pit to wait for the first runners. 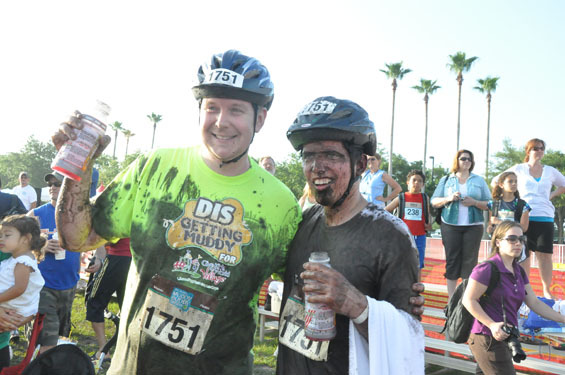 This year I don’t know what they did to the dirt but it sure smelled like cow manure. 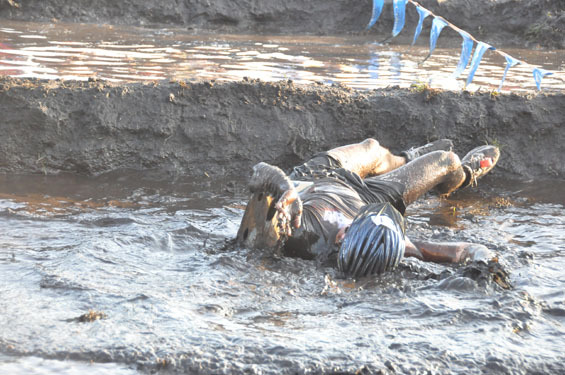 Before long the first runners were diving into the mud pit. 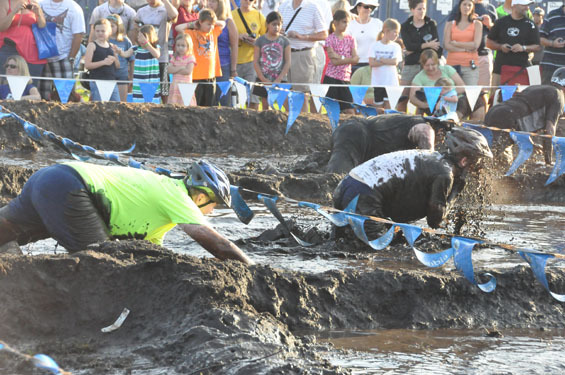 The crowd was yelling and screaming to “Get down!” and “Crawl on your belly!” Some of racers in the pit made it fun, rolling over and over as they made their way to the finish line. After our group finished, we were making our way out of the event when I heard them announcing there would be a wedding ceremony. 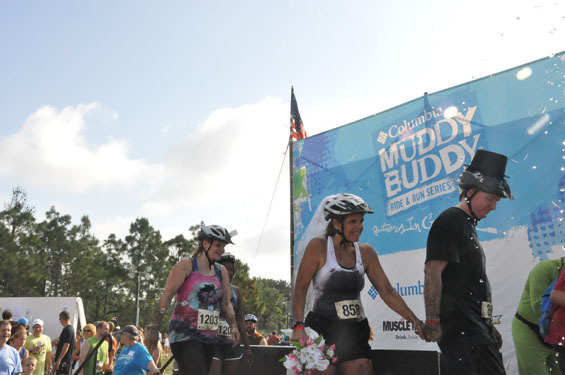 Of course, I had to check this out, and sure enough there was a couple that had competed in the Muddy Buddy who was now getting married! They were showered with water as they left the stage. 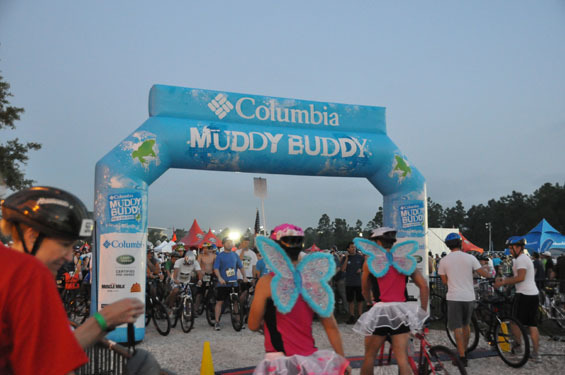 If the Muddy Buddy comes to your area, jump at the chance to see it. I know I will be back next year. 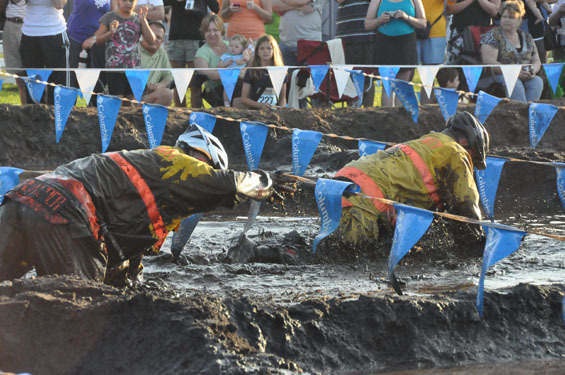 I would like to thank Tim, Chris, Jason, Britney for their fundraising efforts and great job at running the Muddy Buddy. As Chris walked away he said, ” We helped make some dreams come true for some kids at Give Kids the World.” This makes them all heroes in my book!